Cla-Val produces the world’s highest quality automatic control valves. We are able achieve this through a unique combination of engineering expertise, craftsmanship, quality materials, sophisticated manufacturing processes and superior customer service, backed by the best warranty in the business. This commitment has helped us to earn a reputation for excellence throughout the United States and around the world. 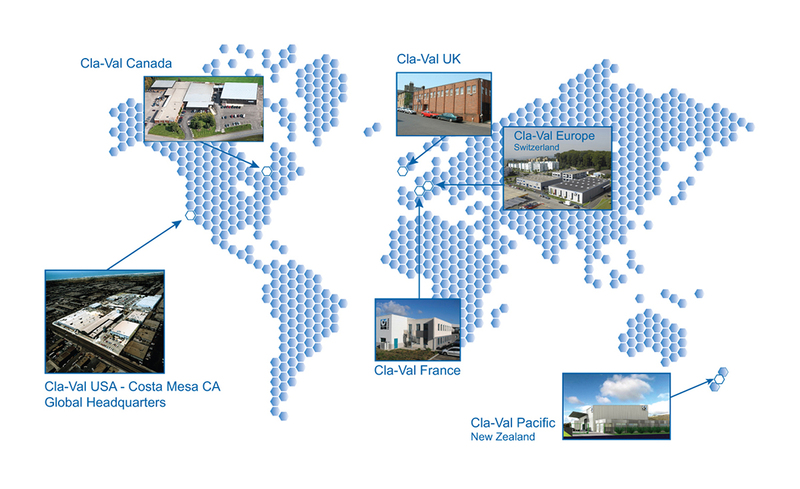 With manufacturing facilities, warehouses and sales offices in the US, Canada, Switzerland, France, the United Kingdom and New Zealand, Cla-Val is a truly global company.